What is the name of your business and how long have you worked there? 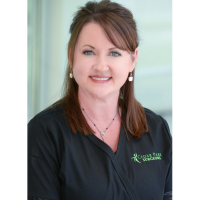 Cedar Park Surgeons, Ideal Protein Health Coach, since September 2017. How have you benefited from being an Ambassador? I enjoy networking with this amazing group and appreciate the friendship as well! It’s great to have access to so many businesses in the community. When friends ask me for a referral for a product or service, there is always someone in our group to fill the need.Being an Ambassador led me to Leadership Cedar Park, which has led to being part of the Library Foundation Board, Books for Babies and Fable Fest. I’m grateful to be part of the Ambassador program. I’m married and we have two children in college. We have 3 dogs to keep us busy now that the kids are grown. We enjoy spending weekends camping and kayaking. My husband and I enjoy playing music together, he plays the guitar and I play the cello. I also enjoy adventures such as the Tough Mudder, half marathons, and Triathlon’s.